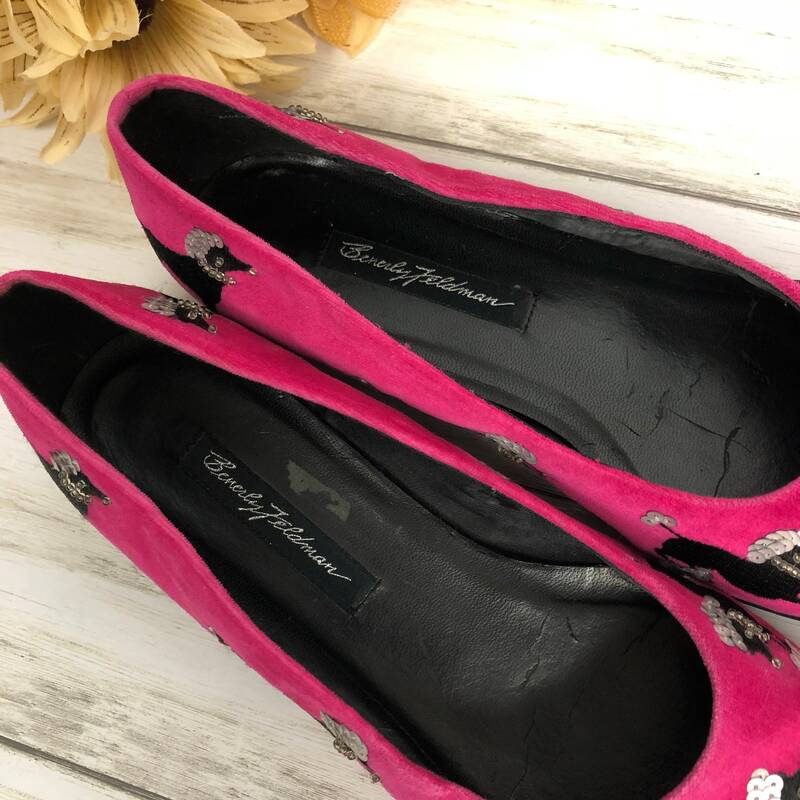 Very cool pair of 90’s vintage Beverly Feldman flats for sale. 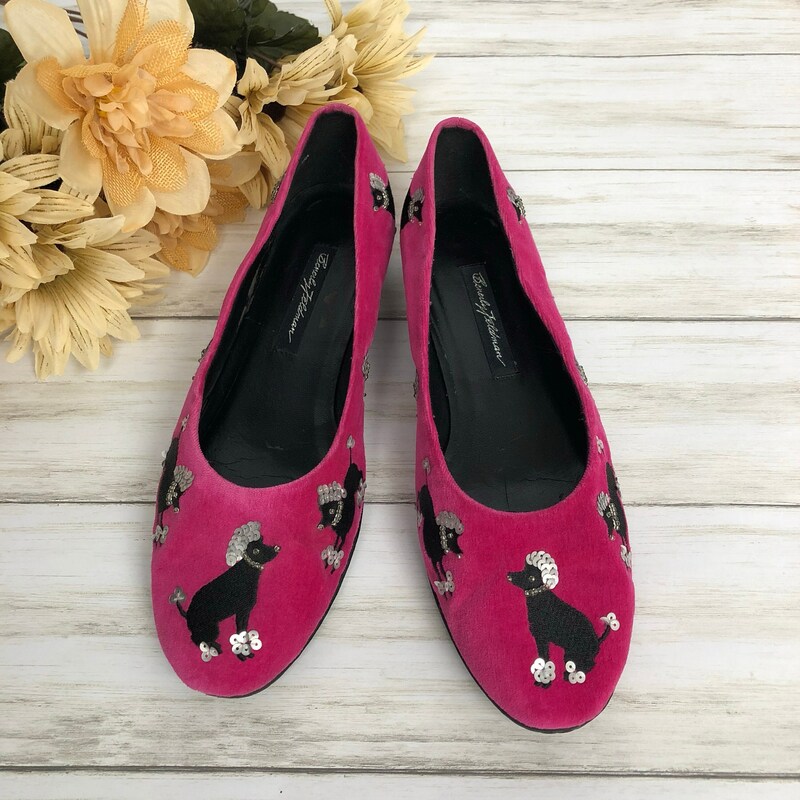 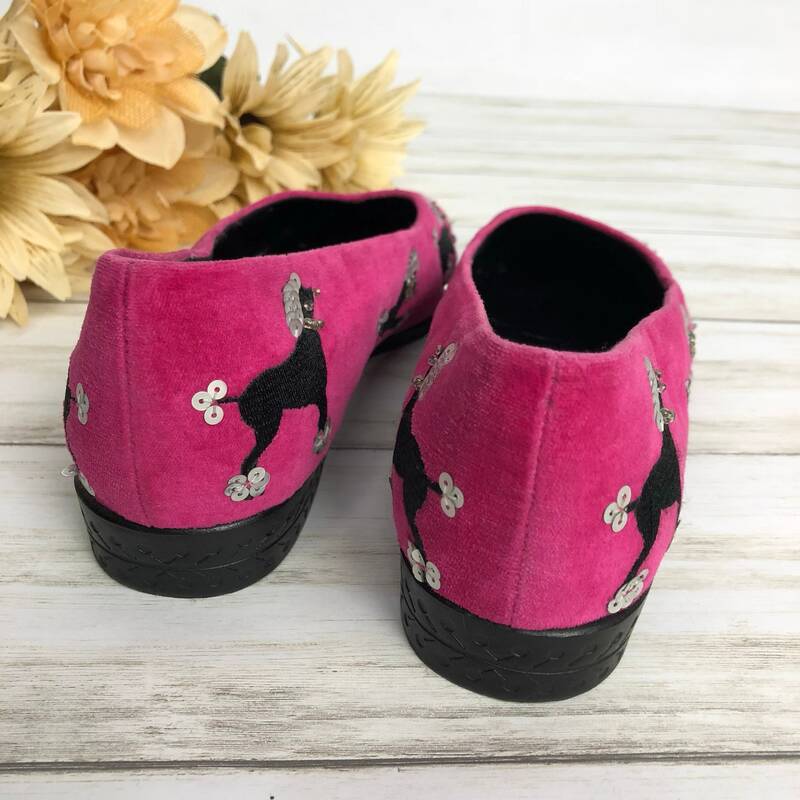 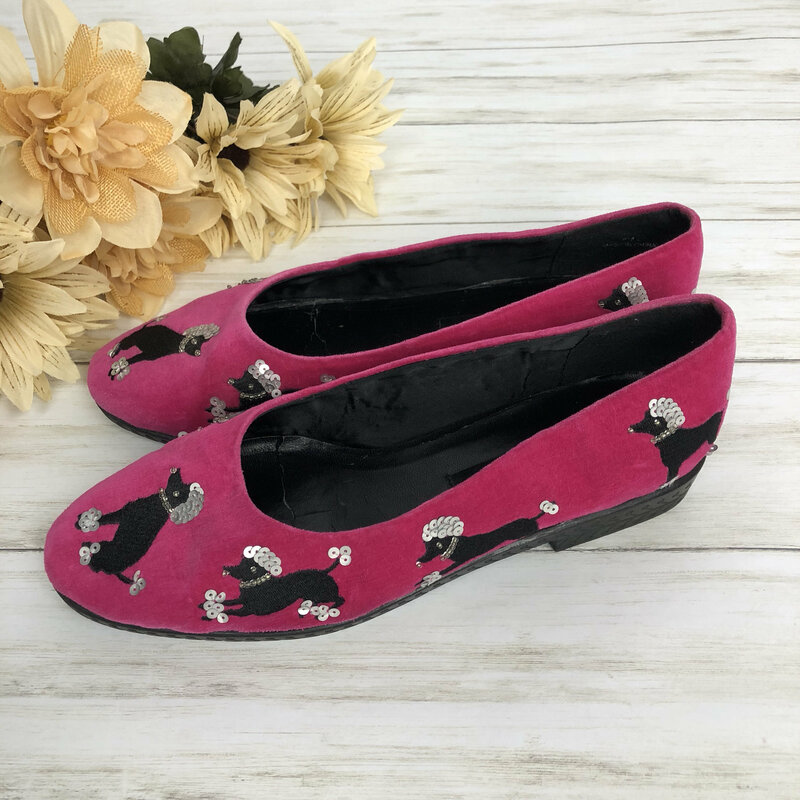 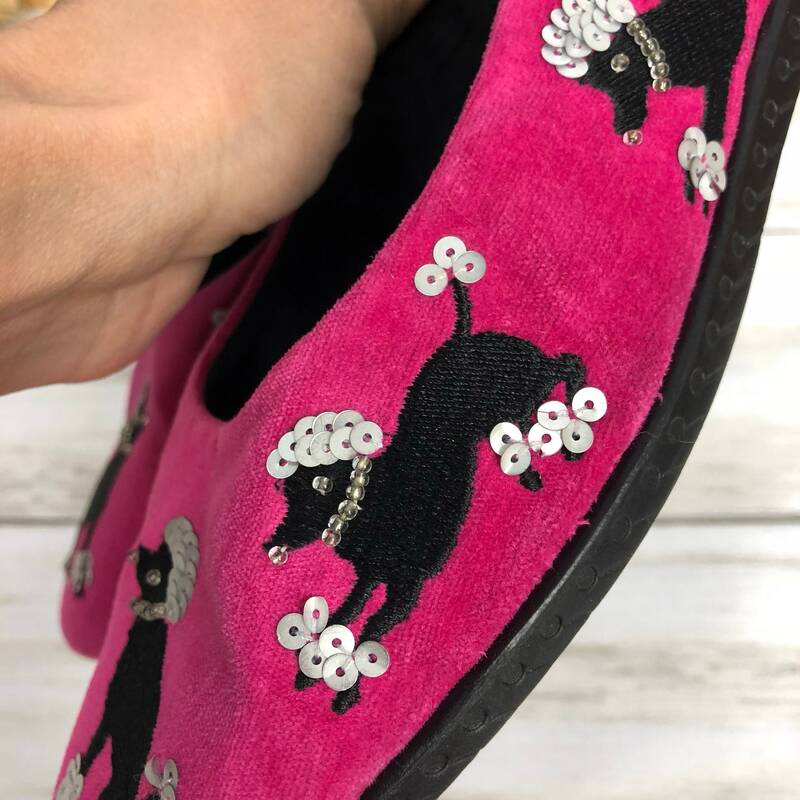 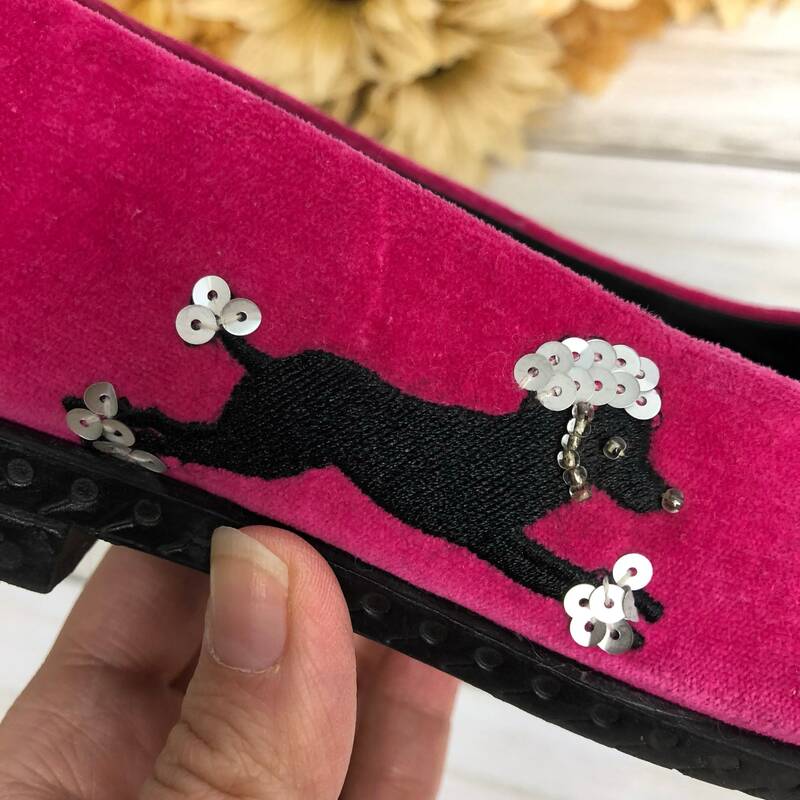 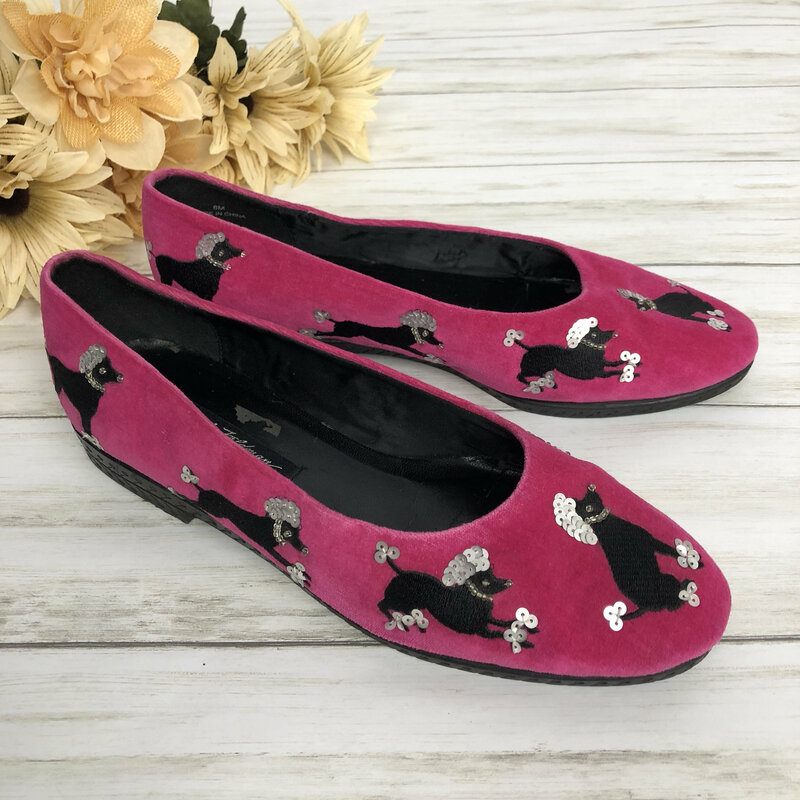 These are adorable and have a poodle motif featuring embroidered poodles accented by beading and silver sequins. 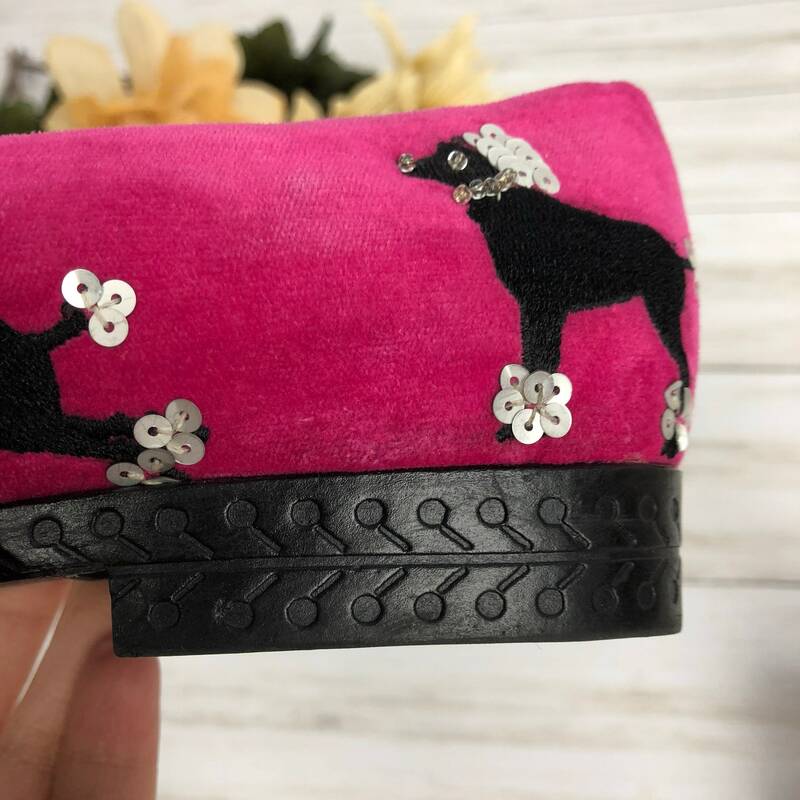 The material is some sort velvet textile and it is a hot pink color. 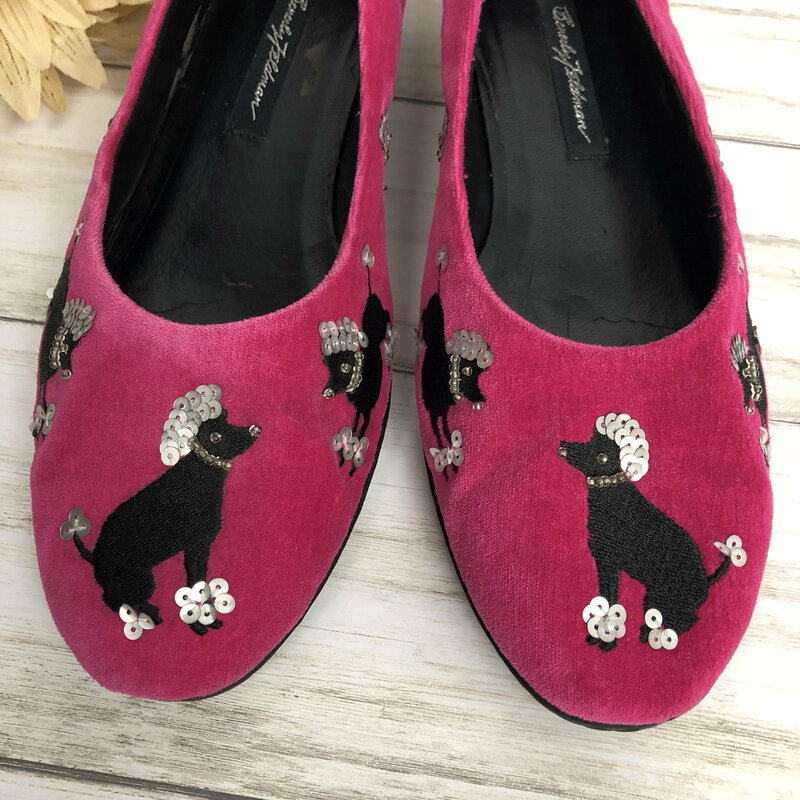 These are in good condition, but do have some minor signs of wear to the velvet. 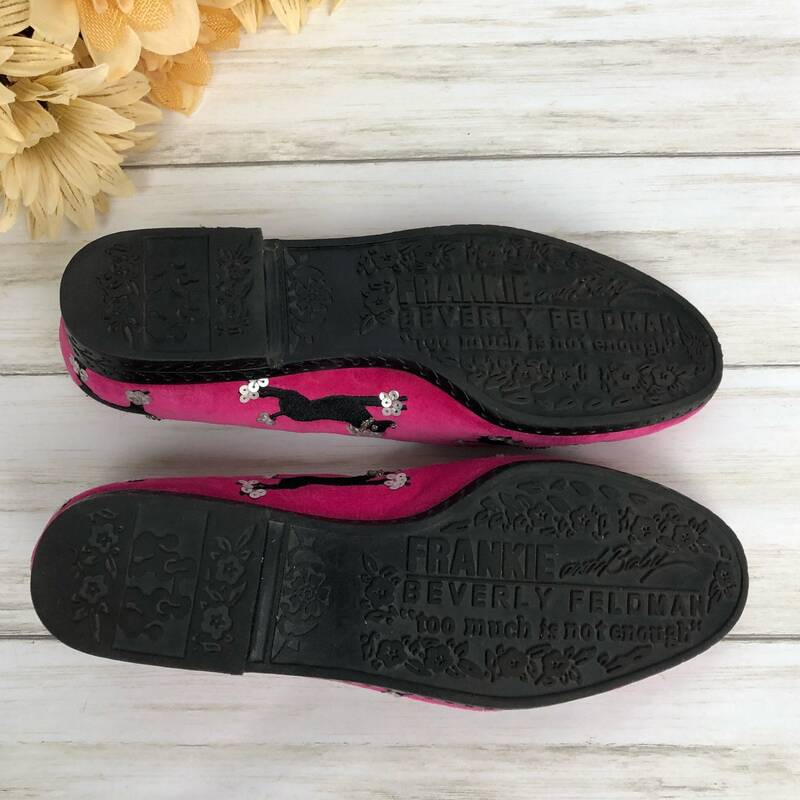 Condition true to photos.